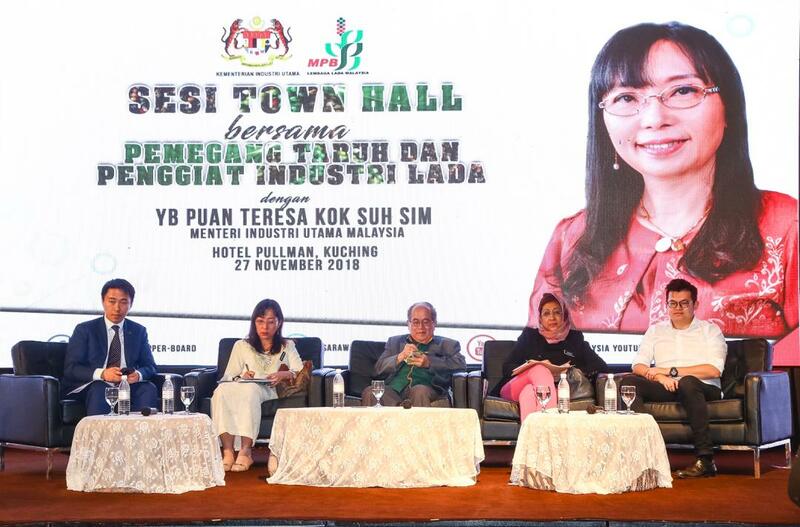 KUCHING: Primary Industries Minister Teresa Kok is urging pepper industry players including smallholders to come up with suggestions to promote Sarawak pepper. With Sarawak pepper regarded as the cream of the crop, she said the aromatic spice ought to be promoted to other countries. “I can help promote Sarawak’s pepper products during my working visit to other countries such as China. “That is why I need your cooperation in giving suggestions to my ministry because many of you here are seasoned pepper farmers and have been in this industry for a long time,” she said during a town hall session with pepper industry players and stakeholders at a leading hotel here last night. Kok said the previous government had allocated RM60 million under the 11th Malaysia Plan to assist farmers and smallholders including those in the pepper industry. However, she advised smallholders from depending solely on subsidies provided by the government. “Being reliant on subsidies is not the solution to help the pepper industry. “We must also come up with ideas or proposals together and find ways to market Sarawak pepper,” she said. Meanwhile, Deputy Chief Minister Datuk Amar Douglas Uggah Embas said the Sarawak government is also doing its part to assist pepper farmers in the state by providing allocation for fertilisers. He said the state government views pepper as one of its crucial commodities in view that the pepper industry not only contributes to the state gross domestic product (GDP) but also the national GDP. “This pepper industry has free around 30,000 pepper farmers from poverty. But he pointed out that this is only lucrative when the price of pepper is good. “I hope Yang Berhormat (Kok) will bring back the issues we have raised during this town hall session and discuss with the Prime Minister (Tun Dr Mahathir Mohamad) on how to resolve the issues. Also present were Malaysian Pepper Board (MPB) chairman Larry Sng, Ministry of Primary Industries secretary general Datuk Zurina Pawanteh and Bandar Kuching MP Dr Kelvin Yii who is also MPB board member.